Waste management poses increasing challenges to both the protection of the environment and to human health. To face these challenges, this book claims that environmental law needs to shift attention from media-specific pollution regimes to integrative life-cycle approaches of waste management i.e., from the prevention of waste generation to the actual handling of wastes. Furthermore, the cooperation of States and the establishment of coordinated activities is essential because states can no longer have separate standards for wastes posing transboundary risks and for ‘purely domestic’ wastes. Drawing upon both International and EU law, the book provides a detailed analysis of the regimes set up to deal with the transboundary movement of wastes and ship-source pollution, so as to elucidate the obligations and legal principles governing such regimes. It concludes that treaty obligations concerning transboundary movements of wastes are inapplicable to ship wastes while on board ships and on land. However, despite the limitations of the transboundary movement of wastes regime, the principle of Environmentally Sound Management (ESM) embodied in this regime has gradually transformed into a legal principle. ESM works to address the legal gaps in the regulation of wastes, and　consequently,　it provides the desired coherence to the legal system since it acts as a bridge between several regulatory and sectoral levels. Furthermore, ESM offers a new light with which to understand and interpret existing obligations, and it provides a renewed impetus to regimes that directly and indirectly govern wastes. This impetus translates into greater coordination and the establishment of cross-sectional policies. 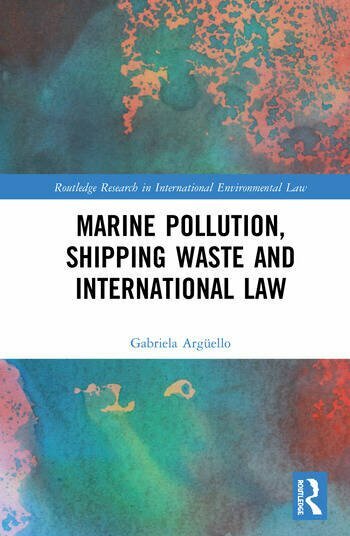 By offering alternative ways to solve problems linked to the management of ship wastes in the sea-land interface, this book will appeal to anyone with an interest in International Environmental Law.